Design on a budget – One Room Two Budgets! And I say you can still have a chic beautiful space! 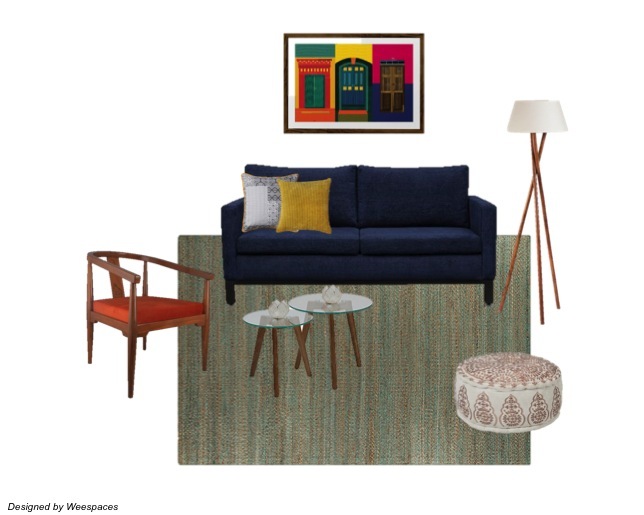 So today’s post is dedicated to creating a beautiful living room – on 2 budgets! Lets say Rs.50000 is all you have to spend on your living room. What can it get you? A budget of Rs. 100,000 to spend on your living room….Here’s what it can look like! What a Wee Makeover can do for your home? One of the common myths of interior decor is that it is expensive, involves a whole lot of buying and is just a tedious process! It has also been thought of as something that is necessary only when you buy homes or redesign your entire home. At Weespaces we want to make the design process more accessible, more relevant and easier for the customer. We want to dispel the myth that it needs to be time and money intensive. Good design works towards making a space chic, personal and functional keeping within the constraints of budget, function and your personal needs. 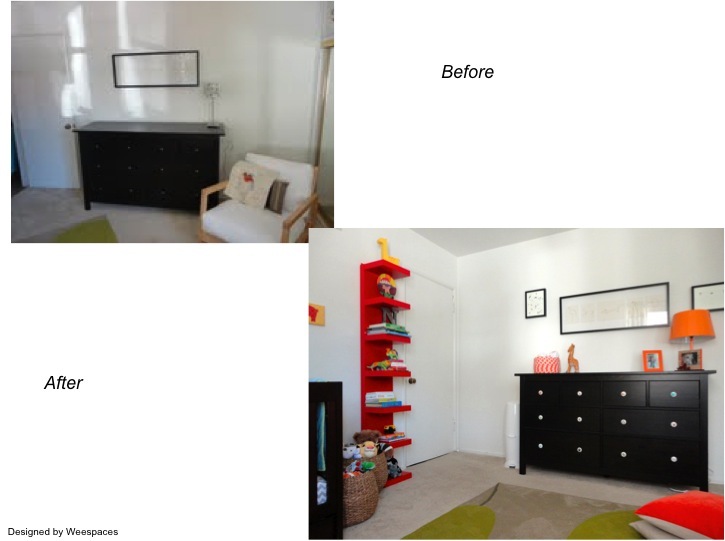 Here is an example of what a simple Wee Makeover can do! Our client in this case was a young family with a toddler. We all know how the clutter that comes along with kids can takeover a space and leave very little room for creativity and design. When we stepped in we realized the need for organization and creating a functional yet welcoming space. We were low on budget and could invest only in a few pieces of soft furnishings like curtains, rugs, a lamp and an ottoman. 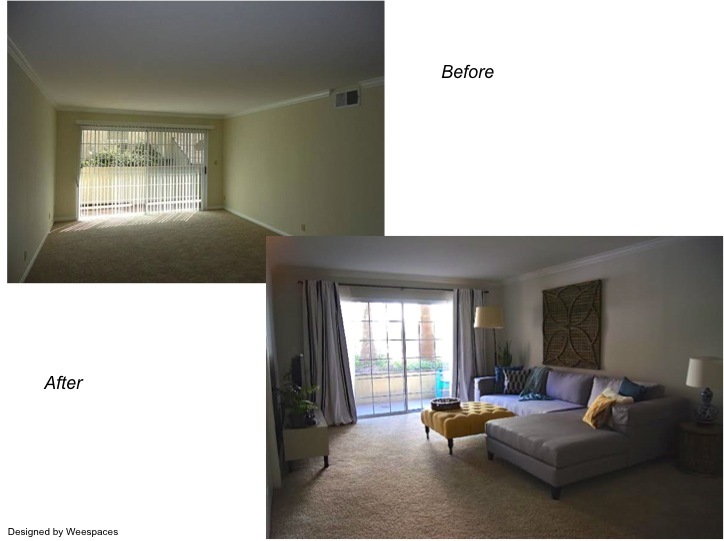 Though the changes might seem small you can see the world of difference they have made to the living room! 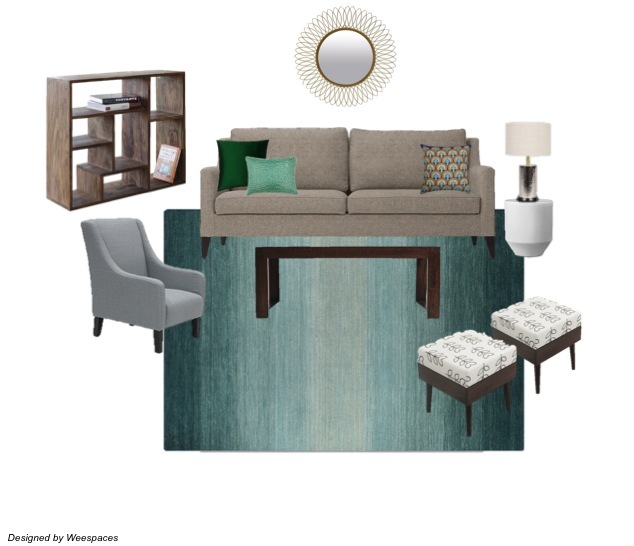 As we moved along the family fell in love with their home and their living room again 🙂 And then they decided to add some key pieces of furniture like a new sectional and a media cabinet. You can see how the space has transformed with these changes, but all keeping with the budget and constraints of the client. WeeArt Wednesdays – Todays pick! Wednesday came a day late here…..but this weeks WeeArt pick is such a fun modern piece of art! Something to anchor a kids space around…its colorful, modern and with a muted gray background can work with any color scheme! We had a pretty small space to play with here and some existing pieces to work with. 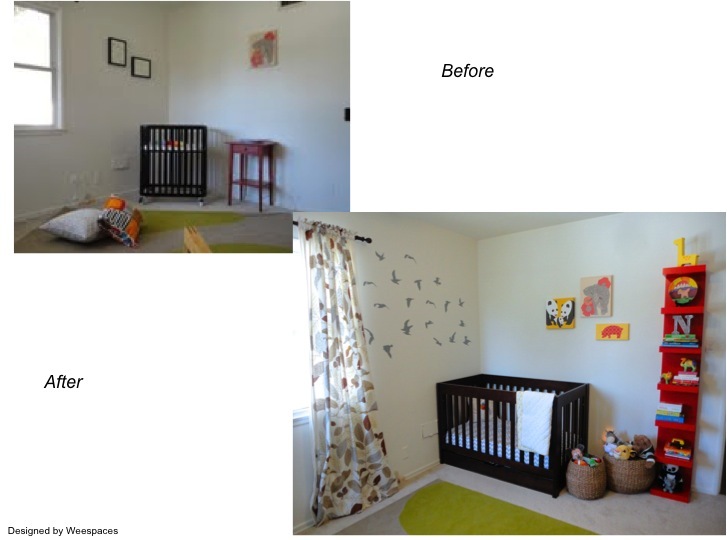 I love how fun and colorful this room turned out….perfect for a little boy! The bright colors against the black and whites in the walls and larger pieces work so well.